Along with generating new SOLIDWORKS Parts, Assemblies and Drawings, you can set up your DriveWorks Solo Projects so generated SOLIDWORKS files are saved in additional file formats. You may want to create a PDF version of a SOLIDWORKS Drawing so it can be sent to a customer, or you may require a DXF of a part for manufacturing. Instead of having to manually save the generated SOLIDWORKS files in the required formats, you can automate this process by capturing the additional file formats against the SOLIDWORKS file inside DriveWorks Solo. With a captured model open, you will notice a File Formats tab. With this selected, you can capture additional file formats for a file. The file formats that can be captured change depending on the type of SOLIDWORKS file that you have open, this reflects the file formats available inside SOLIDWORKS. No – the file format is not captured. Yes – the file format is captured and will be created each time the model is generated with the same name and location as its parent SOLIDWORKS file. 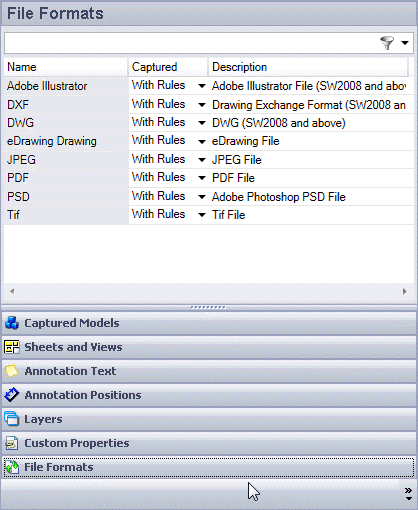 With Rules – the file format is captured but rules can dictate if it is to be created and the location it is stored. 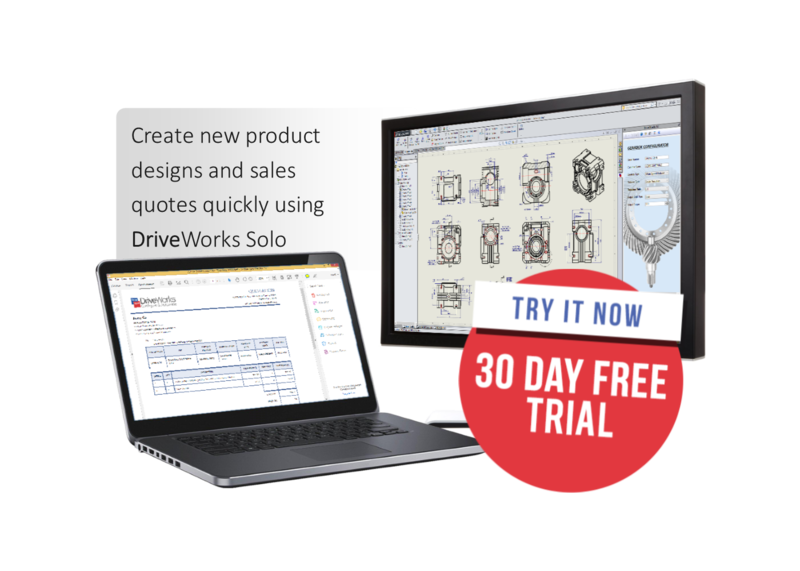 Download a 30 Day Free Trial of DriveWorks Solo to try the functionality for yourself.